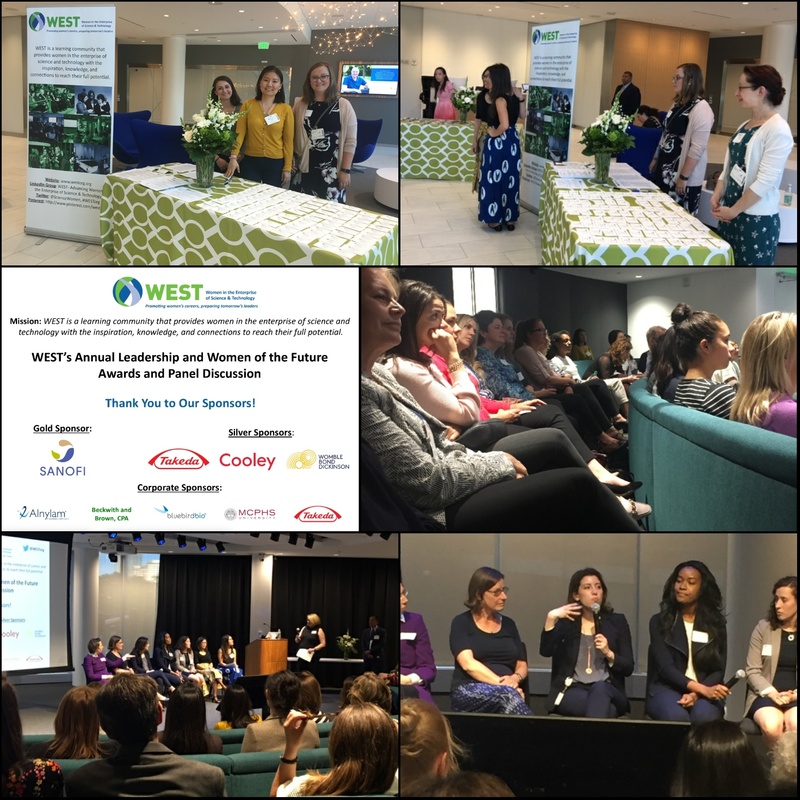 On June 12th, WEST honored Heather Bell, Senior Vice President, Global Head of Digital and Analytics at Sanofi; Jocelyn Carter, Hospitalist at Mass General Hospital, Sarah Grimwood, Senior Director, Head of Portfolio, Strategy & Operations at Pfizer, and Marian Nakada, Vice President, Venture Investments at Johnson & Johnson Innovation – JJDC with Leadership Awards. Each of these awardees shared tips and attributes to their own success and awarded a woman who exemplify the future of STEM and shared a quality they felt helped them get ahead. Some of these qualities included the ability to identify and focus on what’s important, making the best of unforeseen circumstances, conscious decisions about what to invest their time on, not taking things personally and be persistent and resilient, and taking inventory often to know what you really want to be doing. The Women of the Future awardees were Maya Nitzberg, Annelise Ryan, Elena Spencer,and Amy Zwanziger. 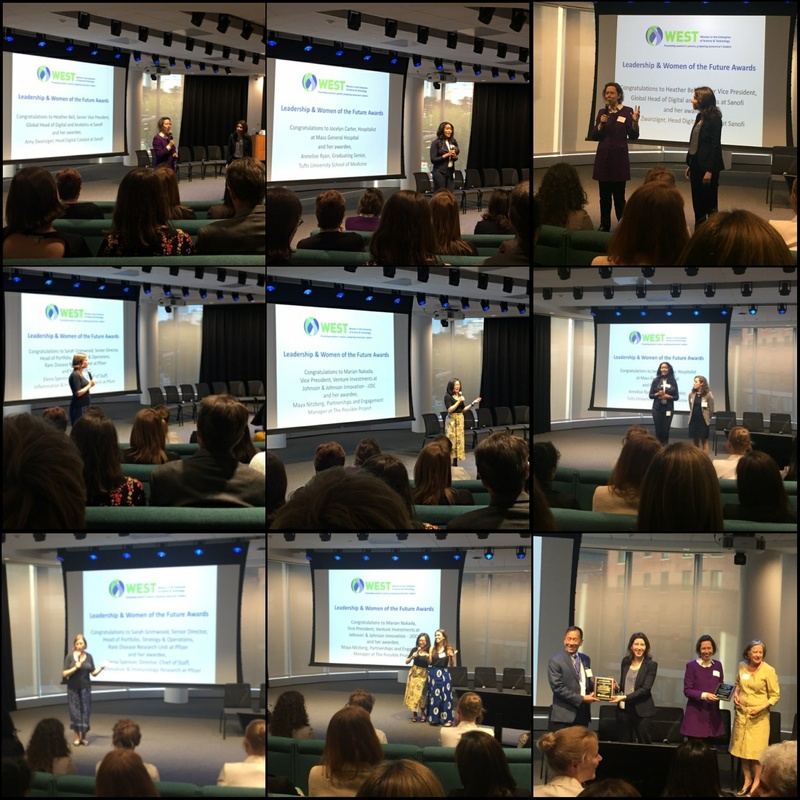 The panel discussion that followed the award ceremony presented the audience with the opportunity to engage with these remarkable women in STEM. 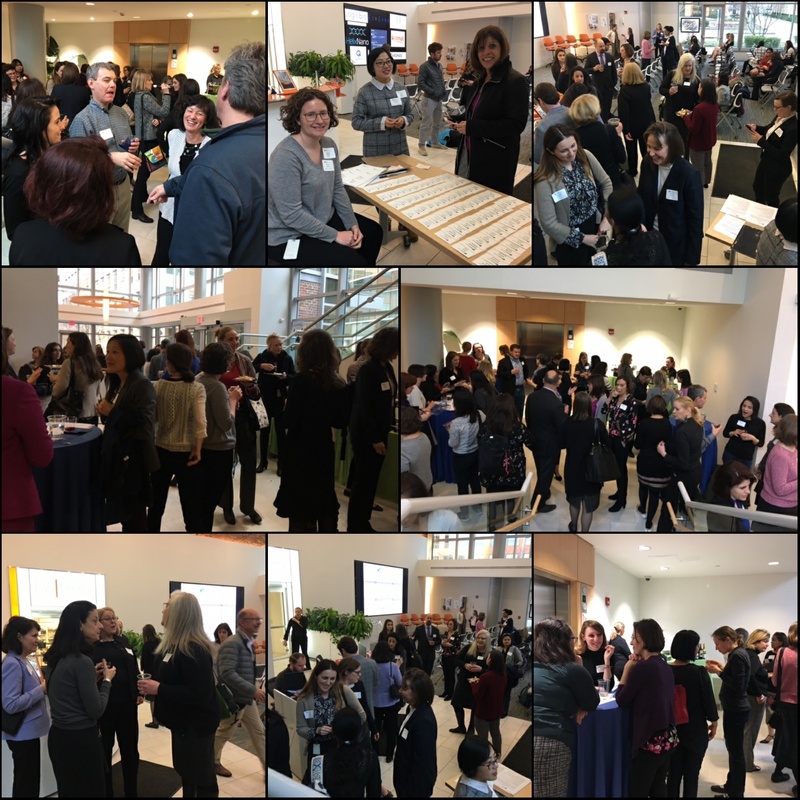 Topics discussed included professionalism in general, networking, mentorship, the adversity women face in the workplace and how career building is about selling. Selling your idea. Selling your talent. Selling your solution. Overall, these women advised the audience to have empathy towards other people’s situations by always bringing authenticity into work. In addition, they explained to not worry about what other people are going to say or think. The most important lesson was to listen. Overall, this was a wonderful event that celebrated the current female leaders and the future ones in STEM. 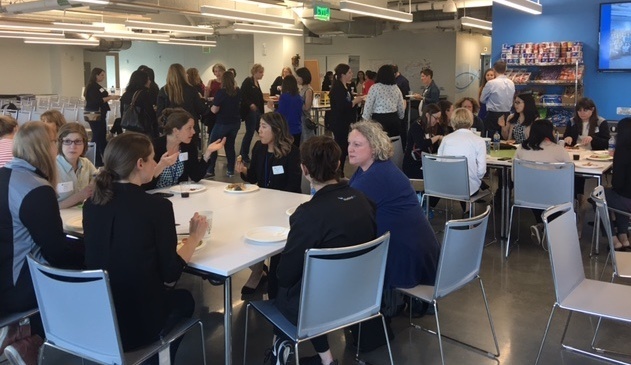 The most recent WEST event welcomed Tori Hollingworth, an executive communication coach with over 15+ years of experience where she guided an interactive power hour of steps and advice to delivering and providing impactful feedback in daily professional engagements. Participants were led through some simple but effective steps to state, detail, pause, suggest, agree and move forward from often difficult feedback. She urged the group to come prepared for conversations, taking into consideration your own goals for the end result, what motivates the recipient of the feedback and what can you say to get them to accept and ideally “buy into” what you have to put forward. In small groups, participants were able to practice the steps using personalized scenarios. A clear strategy and preparation, she noted, were key to having confidence and would allow one to come from a position of strength. Tori went on to detail the ABC’s of communication, where she explained that Attitude Becomes Communication and the fine line between an aggressive and assertive attitude, urging the participants to be clear on their intentions and take the emotion out of the conversation. In conclusion, she urged the audience to continue to practice these tactics and engage in giving feedback both positively in the form of reinforcement but also not shying away from more constructive conversations. This implementation of proper communication skills is key to developing and retaining the tools delivered within the workshop. 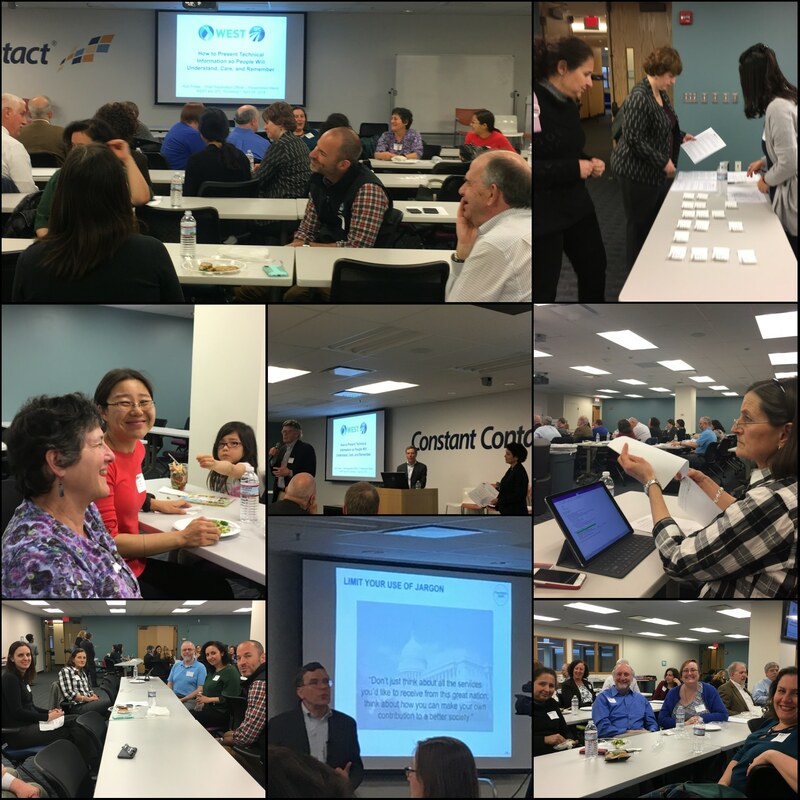 In a joint workshop with SPC, WEST members learned how to transform boring technical presentations into a much more exciting and memorable format. Rick Pollak, the owner and Chief Explanation Officer of Presentation Medic, shared his tips on how to present technical information so people will understand, care, and, most importantly, remember what you said. Although many of us at the workshop that night thought we would skip right to the heart of transforming our technical information, Rick made us pause, take a breath, and think about the characteristics and needs of the audience. Before we even started dissecting our technical information, Rick asked us to think about a recent (or upcoming) presentation, and make a note of why the audience should even be interested in listening to us, and to write down the “what’s in it for me” from the audience perspective. Very enlightening! And a totally different way of thinking about putting together material for a presentation. After the “audience first” exercise, Rick then educated us on how information is much more compelling when the story starts with a date, and an image (visual or verbal) that orients the audience to what they are about to hear, makes the audience sit up, connect personally, and thus pay more attention. 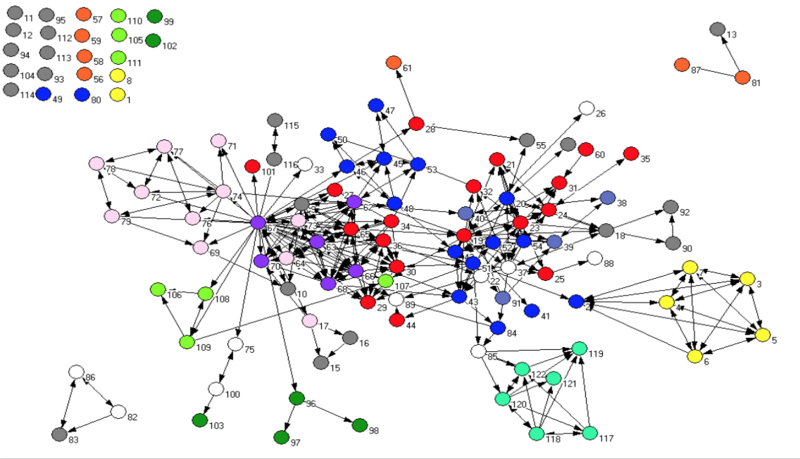 Ultimately this results in the audience having much better recollection of the information that was shared. A simple, but very effective tool. A final tip from Rick was to make sure to avoid information overload in slides – that is, avoid including every last piece of technical data (just because it is interesting to you, or you worked hard to generate the data! ), and instead, describe the information in succinct bullet points that summarize the high level findings. If there are too many pieces of technical information, the audience will be overwhelmed and come away with nothing. Better to have the audience remember the high level points so they can recount them to their manager! All in all, it was a very educational event. The exercise of thinking about the audience perspective first and foremost really transformed how I will think of putting my next presentation together. Instead of jamming slides with lots and lots of data, I will think about the key points I want to my audience to leave with, and will emphasize those. And finally, I will try to start my story by mentioning a moment in time date and sharing a personal anecdote, and hope my audience will be drawn in and will find my presentation interesting, appealing, and most importantly, memorable. 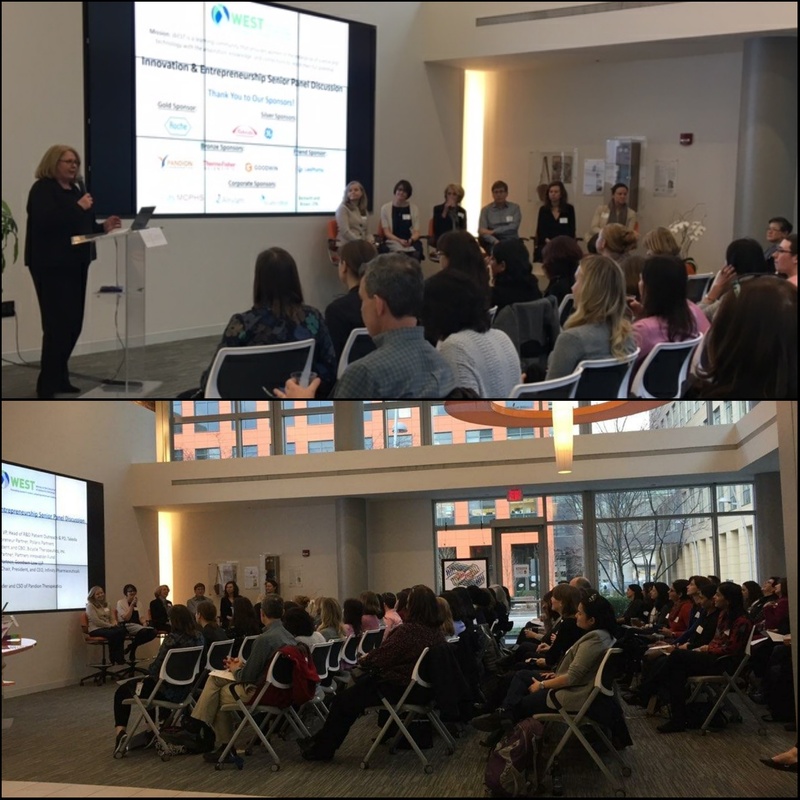 Bayer LifeHub Boston sponsored the event and helped bring together senior STEM leaders from organizations ranging from incubator to startup to large corporations who shared their perspectives on the topic of open innovation and how they help their company embrace it. Panelists included Ena Cratsenburg, Chief Business Officer at Ginkgo Bioworks, Inc.; Monika Lessl, Vice President, Head of Corporate Innovation and R&D at Bayer AG; Dr. Elizabeth O'Day, CEO and Founder of Olaris Therapeutics; Maggie O’Toole, Vice President, Operations at LabCentral, Inc.; and Steven Robinette, Principal at Atlas Venture. We learned that when negotiating a deal, the nature of your negotiation is a sign of how your working relationship will be. Cooperative negotiation is an early indicator of a cooperative relationship and combative negotiation is an early indicator of a combative relationship. These images below can help drive home some of the points made around comparing and contrasting the Network Effect of Open Innovation versus the Silo Effect of Closed Innovation. Open innovation allows for the flow of new and interesting ideas and partnerships. 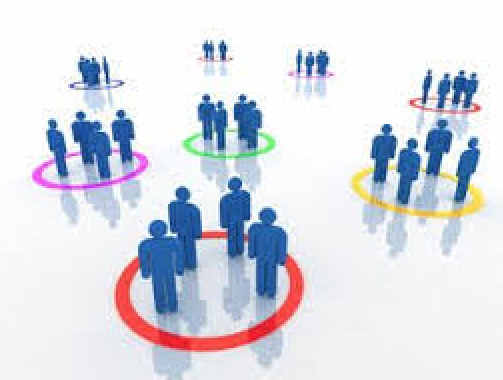 Increasing your networking effort increases the chance of finding a business partner. Silo’s are so, so lonely. 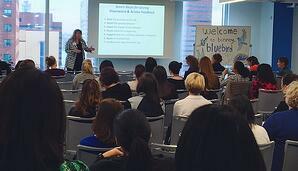 Ros Deegan, President and CBO, Bicycle Therapeutics, Inc.
During brief introductions, the panelists described the career journey to their current role before launching into some thought-provoking (and quite entertaining!) perspectives on (i) the status of innovation and entrepreneurship in life sciences, (ii) careers at the forefront of innovation and entrepreneurship, and (iii) career development and opportunities for women entrepreneurs. 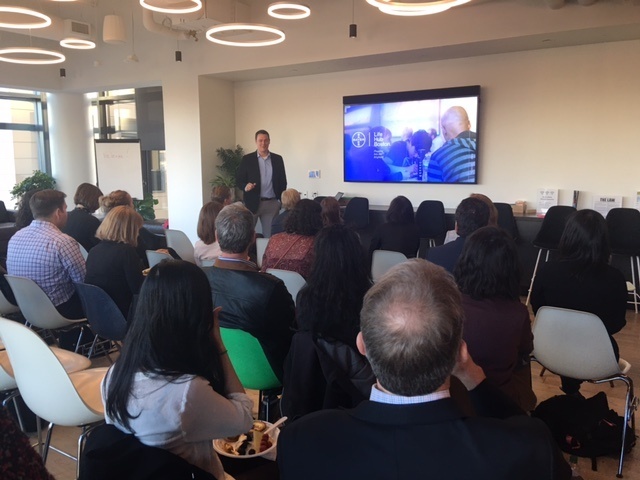 Hot topics included a discussion of new innovations and their potential to transform the life sciences industry, and a lengthy discourse on the professional skills and personal characteristics needed to become a successful entrepreneur. The panelists were in vehement agreement about the need for entrepreneurs to embrace team work, and provided many examples of the well-documented benefits of mindfully creating diverse teams. The discussion closed with tangible recommendations for improving the pipeline of women as a way to create greater gender parity at the leadership level. Dinner and cocktails before the panel, followed by dessert and cocktails after the panel discussion, ensured there was plenty of opportunity for hobnobbing with the movers and shakers of our local STEM network. The evening was made possible by generous support from Roche, Takeda Pharmaceuticals, GE Healthcare Life Sciences, Lab Central, Pandion Therapeutics, ThermoFisher Scientific, Goodwin Law, and Lake Pharma. 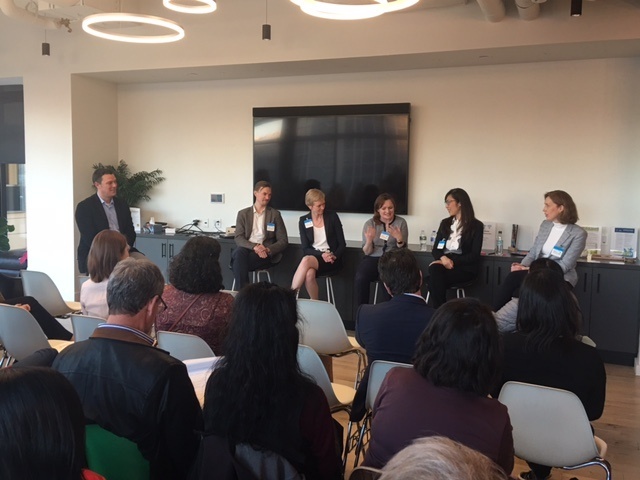 If you enjoyed the 4/11 discussion (or perhaps couldn't make it) continue it from the perspective of supporting open innovation in a larger corporate setting on at our 4/23 panel discussion.